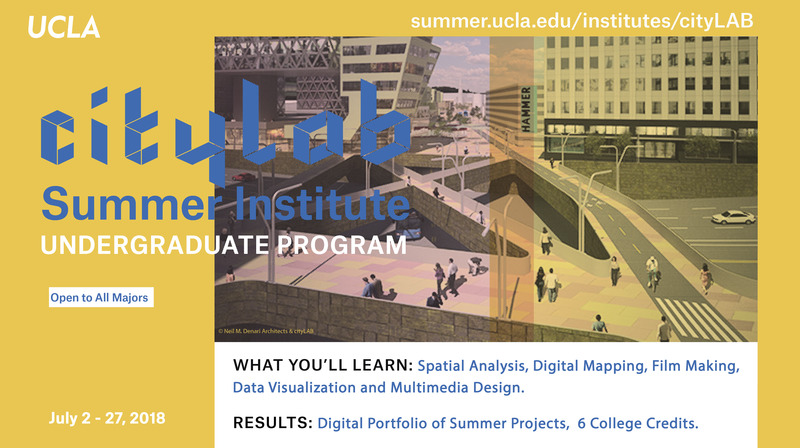 UCLA’s cityLAB Summer Institute: Laboratory for Urban Studies is an innovative combination of new technologies, urban explorations and spatial analyses realized through a hands-on engagement with the city of Los Angeles. Active, project-based learning is emphasized in studios, seminars, guided tours and fieldwork. We focus on how different technologies gave rise to the global metropolis of Los Angeles and also created various social, economic, and cultural divisions within the city. The Institute takes Los Angeles as a “learning lab” for critical exploration and social engagement from the level of individual neighborhoods to large-scale infrastructure projects. Sites of investigation include Playa Vista’s “tech hub,” downtown L.A., and historic neighborhoods such as La Placita, Chinatown and Boyle Heights. 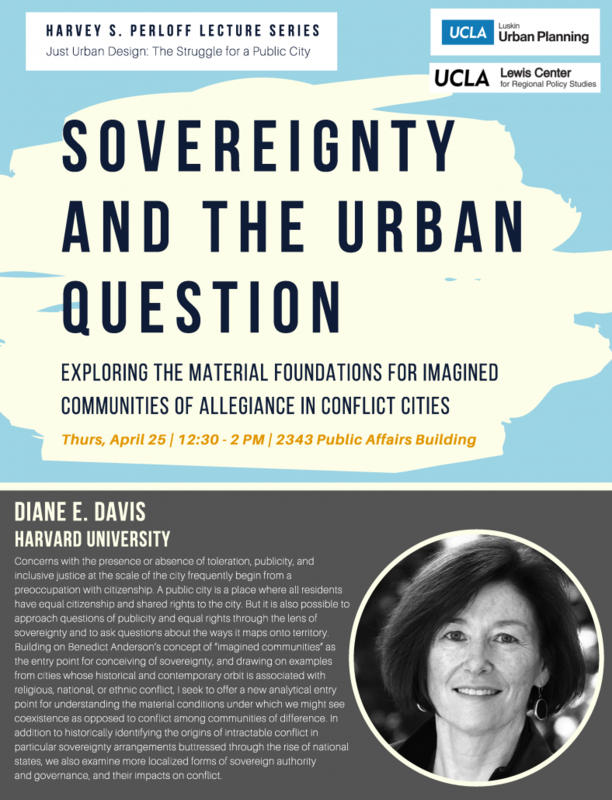 Creative forms of collaborative research and communication — from digital mapping and information visualization to film-making and social media — introduce a range of tools to delve into and document urban life as well as provide students with concrete, transferrable skills. Students will develop an online digital portfolio that illustrates and documents their investigations and projects. 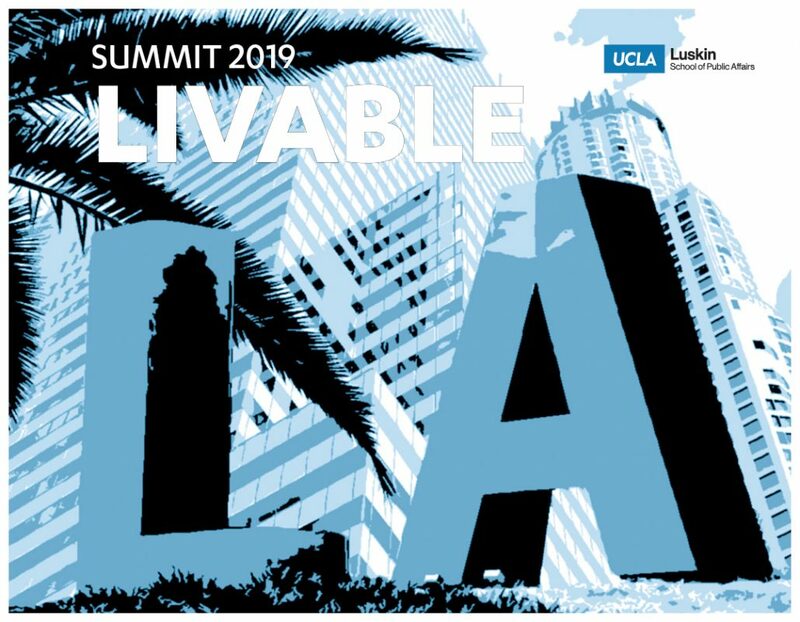 The students’ experience will be augmented by guest lectures and opportunities to engage with L.A.’s startup culture through visits to local companies and campus partners, including UCLA’s Summer Accelerator. TOPICS: Spatial Analysis, Digital Mapping, Filmmaking, Data Visualization and Multimedia Design. 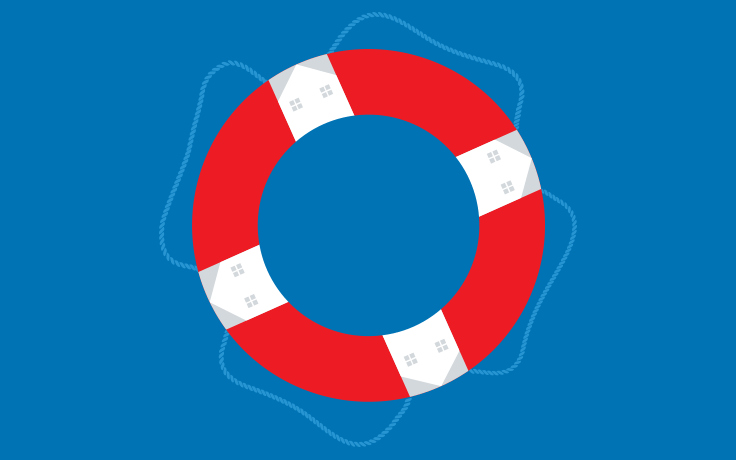 RESULTS: Digital Portfolio of Summer Projects, 6 College Credits. Open to all majors. Non-UC students welcome.